The 12th edition of the San Francisco Independent Film Festival—better known as SF IndieFest—takes over the Roxie Theater for two weeks starting this Thursday, February 4. Out of the fest's three dozen programs worth of features, docs and shorts, I had the chance to preview four on DVD screener. Happily, they're all winners. 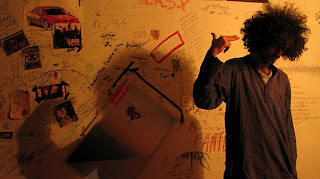 The film I'm most excited about is No One Knows About Persian Cats, Kurdish-Iranian director Bahman Ghobadi's controversial portrait of Tehran's underground indie-rock scene. It won an Un Certain Regard Special Jury Prize at Cannes last year at the exact same time the film's co-writer, Iranian-American journalist Roxana Saberi, received a suspended sentence on espionage charges and was released from Iranian prison. More controversy occurred last autumn when Iranian auteur Abbas Kiarostami publicly admonished Ghobadi for this decidedly unsavory look at life in Iran. Ghobadi responded with a bitter, anguished open letter to his one-time mentor. Brouhaha aside, Persian Cats is a remarkable film and an inspired departure for its director, best known for lyrical, but unsparing rural parables about war-ravaged children (Time for Drunken Horses, Turtles Can Fly). And though he's previously touched on the plight of musicians in Marooned in Iraq and Half Moon, this is his first time working in an urban milieu. 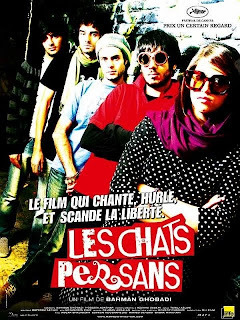 With a mixture of resignation and outrage, No One Knows About Persian Cats proves that tenacious youth and rock 'n' roll will somehow find a way, even in an Islamic theocracy. The film is also beautifully shot, making it all the more fortunate that SF IndieFest will be screening it in 35mm (one of only four such films in the fest). 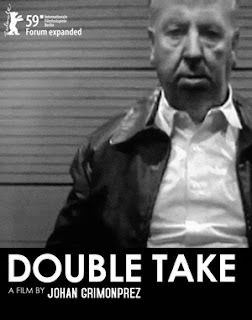 In Belgian director Johan Grimoprez' wildly original mash-up/collage/essay film Double Take, we get an 80-minute riff on paranoid USA/USSR Cold War relations by way of Alfred Hitchcock's assertion that "if you meet your double, you should kill him. Or he should kill you." Clips of Hitchcock—mostly stuff from his droll film promos and TV show intros—are woven into a Hitch vs. Hitch narrative with the help of professional look-alike Ron Burrage and sound-alike Mark Perry. That's all cleverly edited with archival footage of the Nixon-Khrushchev debate, the Cuban Missile Crisis, worrisome Space Race updates (Sputnik! Pupnik! ), Red Square military parades, flying saucer movie clips and a series of insidiously hilarious Folger's Instant Coffee commercials ("How can such a pretty housewife make such bad coffee?!"). Fascinating, spooky and poetic (with the occasional drift into ponderousness), this is the most original vision I expect to see at the movies all year. While Persian Cats and Double Take contain non-fiction elements, the other two films I previewed are straight-up documentaries. 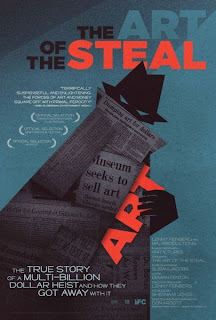 Don Argott's The Art of the Steal tells the story of the world's most valuable collection of post-impressionist and modern art, and how it became subjected to "the greatest act of cultural vandalism since WWII." Philadelphia pharmaceutical magnate Albert C. Barnes amassed the collection in the early 20th century, putting it on public display in 1923. The exhibition was reviled by Philly art critics, causing an outraged Barnes to move the whole thing to a building in the suburb of Lower Merion, PA. (The collection contains 181 Renoirs, 59 Matisses, 46 Picassos and is currently valued at around $25 billion.) In his will, Barnes specified that the collection should stay in Merion, and never be sold or go on tour. Director Argott meticulously details how Barnes' wishes got thwarted over the years by a tourist-hungry metropolis, ambitious politicians, clueless judges and duplicitous foundation board members. It's a thorny, engrossing tale well told. This is another film IndieFest will be screening in 35mm. The Art of the Steal is also scheduled to open at a San Francisco Landmark theater on March 12. I don't know if Palestinian-owned grocery stores are a phenomenon unique to San Francisco, but for 35 years I've never lived more than two blocks from one. 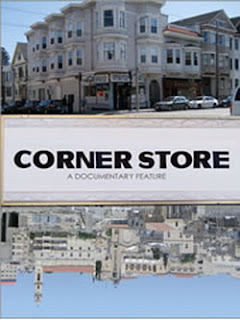 Katherine Bruens' Corner Store, which is having its World Premiere at IndieFest, is the story of one such store and its soft-spoken proprietor. For 10 years, Yousef Elhaj worked at the Church St. Market from 7:30AM to midnight, 364 days a year, closing only for Easter (Elhaj is Christian). He slept in a back storeroom, saving money to support his wife and three children back in Bethlehem. His intention is to bring them to America, and—once all US bureaucratic hurdles have been cleared—the film follows him back to Bethlehem. Once there, however, Elhaj feels conflicted about returning to the US. On one hand, he loves being back amongst his people and culture. On the other hand, life under Israeli occupation, with its checkpoints and separation barriers, is extremely difficult. Friends, family and neighbors all weigh in with their opinions. I won't reveal what happens, but I promise this touching documentary will make you care one way or the other.